In response to a significant increase in passenger numbers, Domodedovo International Airport is undergoing a major expansion programme. DME is currently the only airport in Russia with a direct rail link to a terminal in the capital. The reconstruction of the existing passenger terminal (T1) was completed in 2003, making it Russia's most advanced passenger facility. The BA Navigator Club Lounge opened in 2003. A series of new terminals (T2, T3 and T4) will be built as extensions to the existing terminal (T1). Security has reached a new high at the airport. The current terminal is coping well with the increased passenger numbers during 2005. 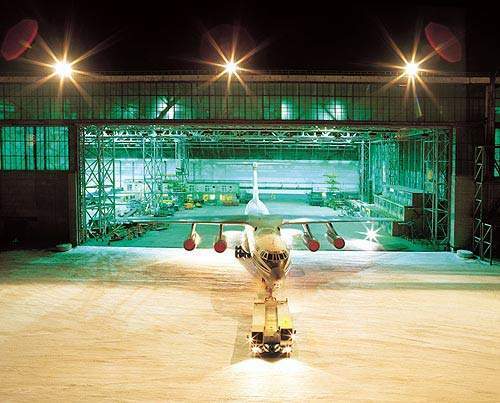 Maintenance facilities at Domodedovo are second to none with the ability to service all major aircraft types. 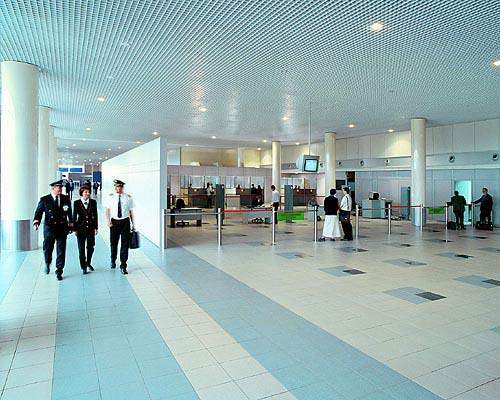 Domodedovo International Airport (DME) is managed and operated by the EAST LINE Group. 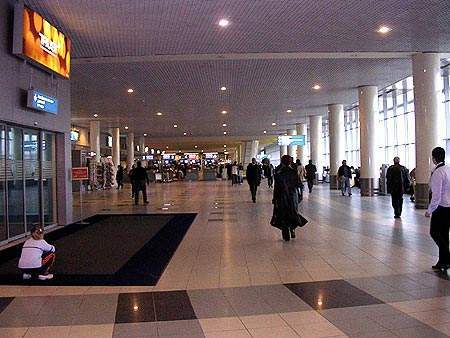 The airport is situated 35km south east of the centre of Moscow and has direct transportation links to the capital. DME leads its rival Sheremetyevo Airport (the other Moscow airport) in domestic and CIS-based flights and with the defection of British Airways, Swiss International, Emirates, SN Brussels and Qatar Airways to DME, it is starting to dominate the international business as well. Aeroflot has also moved all its cargo operations to DME. By the time expansion work is complete DME should be Russia’s most important international airport. In response to a significant increase in passenger numbers, the airport is currently undergoing a major expansion programme, which is scheduled to continue until 2020, with an anticipated total cost of $600 million. DME can currently handle 14 million passengers per year (2005 figures). More than 12 million passengers passed through the airport in 2004, a 30% increase on 2003. Once the expansion is complete, the airport expects to have an annual capacity of 30 million to 35 million passengers and be one of Europe’s largest airports. EAST LINE’s strategic goal is to stabilise the airports future, and establish it as a major international and multi-modal transportation hub. In the first nine months of 2004, international passenger flow at DME increased by 52.8% compared to the same period in 2003. Domestic passengers and cargo volumes also increased significantly, making DME one of the world’s key airports. DME benefits hugely from its close proximity to the Russian capital, enhanced by its transportation networks. The airport has 13,600ha of land reserved around its immediate vicinity, allowing the potential to develop a further seven runways. The airport is not bound by any noise level restrictions, as the surrounding area remains non-residential. DME is situated in a prime location for access to the Russian capital. 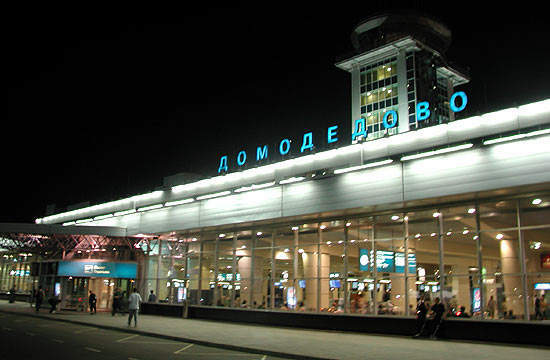 The airport is directly connected to Moscow via a motorway and a high-speed Aero-express train to Paveletsky station. 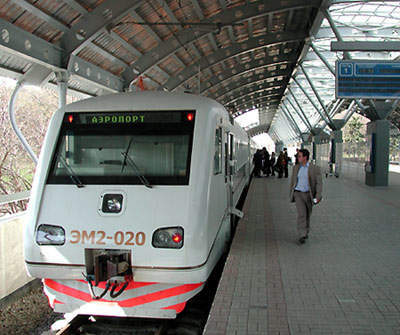 DME is currently the only airport in Russia with a direct rail link to a terminal in the capital. Passengers are given the option to check-in their luggage at Paveletsky station terminal within 24 hours before departure, which increases efficiency and reduces queuing times at the airport. The rail connection is a joint venture between Moscow Railways and EAST LINE. Since its implementation in 2002, Aero-express has transported over 2 million passengers. The reconstruction of the existing passenger terminal (T1) was completed in 2003, making it Russia’s most advanced passenger facility. New operational and management technology systems were installed to streamline all passenger service and safety processes. Under IATA standards, T1 was assigned a category C grading. DME is Russia’s first airport to have parallel runways operating simultaneously. Since the air traffic control tower was redeveloped in 2003, DME can control over 70 take-offs and landings an hour. DME has Russia’s most significant and technologically advanced air cargo complex. 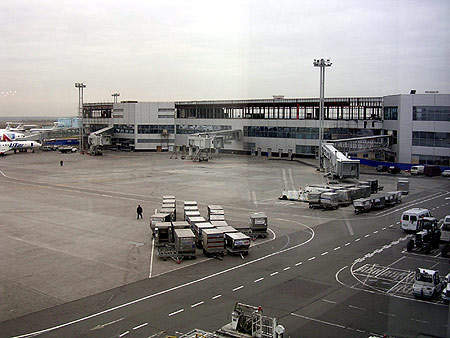 Its share of cargo volume against leading Moscow airports was 52% in 2001, and was 56% at the end of 2004. DME has acquired licences to accept and store all types of cargo. In order to compete with cheaper modes of transportation, the technology and security systems have been upgraded for all storage and handling facilities, and an advanced tracking system allows clients to follow the progress of their cargo. The airport now has five business departure lounges, set up by individual airlines. 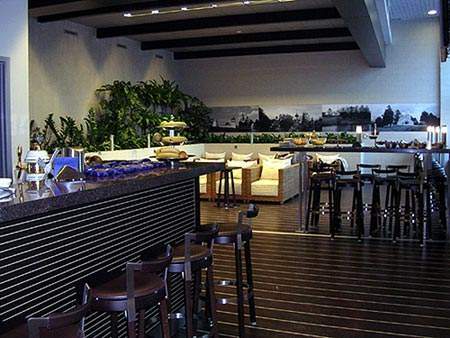 BA opened its Navigator Club Lounge in 2003. It is fully equipped with Wi-Fi Internet access, food and drink concessions, showers, a cloakroom and massage chairs. DME hosts a 24-hour nursery facility / crèche for the use of both guests and passengers, for a registration fee of 30 roubles ($1). The facility includes a play area, drawing tables, lounge, kitchen, dining room, toilets, baths and a full-time nurse. In August 2004 two suicide bombers (who turned out to be two female Chechen freedom fighters) were responsible for a serious security breach at the airport which caused two planes to be destroyed and 90 passengers to lose their lives. Since that time EAST LINE has instigated a new security policy and has spent $20 million on security and detection equipment, which has been installed at the airport. The company has installed x-ray machines, gas sensors and next generation body scanners from Smiths Detection to combat any future terrorist activities. The company has also employed US and Israeli specialists to conduct security training programs at the airport for security staff. 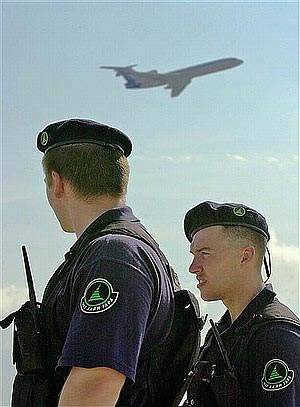 Aviation security at DME is under license from Russia’s Federal Civil Aviation Service, and is also coordinated with officials from the Ministry of Internal Affairs and Federal Security Services. The airport has also been testing a biometric registration system to scan passenger fingerprints and issue boarding cards based on this information. The system will use fingerprints and other biometric information to identify passengers to avoid the possibility of unauthorised persons entering the airport premises. In addition, a control system may be implemented that reads information from an ID card and identifies it with the fingerprints of its holder held on a computer database. The 97,600m² Passenger Terminal (T1) at DME is set to increase in size by 27,000m² in the first stage of expansion which will be designated as T2 (this will be a dedicated international terminal). This first expansion will allow an enlarged space for the check-in area and departure gates. The first phase of T2 is due for completion by the end of 2006 and will allow an extra capacity of 7 million passengers per year. This will then be followed by a phase two expansion of T2 which will increase the overall size of the passenger terminal to 225,000m³. This is scheduled for completion by 2012. By 2012 the new domestic T3 terminal will be completed, increasing DME’s capacity to between 24 million and 28 million passengers per year, approximately double its current capacity. Once T4 is built, the airport’s capacity is estimated to accommodate 30 million to 35 million passengers on an annual basis. The main contractor for the expansion work is Cyvas General Trade Ltd.
All terminals will be under one roof and will be built as extensions to the existing terminal, increasing the efficiency of airport operations and passenger connections by using International Civil Aviation Organisation (ICAO) and International Air Transport Association (IATA) transfer technology. The airport has already been certified by the ICAO for International use in categories 1 and 2 for flights and services in particular weather conditions. By the end of 2004, DME had completed the reconstruction of its airfield to comply with the ICAO Category IIId requirements. The general contractor for the development work was Honeywell Airport Systems GmbH. The project has reduced the delays and cancellations that usually occur as a result of bad weather. New Infra Red technology on landing lights will also allow pilots to make more informed and safer landing decisions from a height of 100ft and a visibility of 700ft, by enhancing the visibility of the airport. EAST LINE has instigated a parking space development project at the DME passenger terminal which will increase the number of parking spaces to 12,500 by 2010 (a five-fold increase on current numbers of spaces). The new parking facilities will be a combination of multi-storey and outside parking spaces. Both will use a vacant / occupied space registration system along with a licence number registration system. The parking system will be as automated as possible. EAST LINE has also expanded the de-icing facilities at the airport by increasing the number of vehicles and also the size of the de-icing vehicle park. Also, for the first time in Russian Civil Aviation, on the advice of the IAAT, the airport has introduced a more efficient two-stage system of de-icing. The first stage allows slush and ice to be removed and the second applies the de-icing fluid. INFORM is a team of raised-in-industry ICT professionals who research, develop and deliver cutting-edge software solutions to improve airport and ground handling operations.